If I see a boot online and want to order it or something similar, how do I go about doing it? Our reputable Rod Patrick Bootmakers® dealers are your most valuable resource. From them, you may browse their inventory, request an In-Stock boot or create your own Custom Design pair of Rod Patrick® boots. How do I care for my Rod Patrick boots? We suggest cleaning them with Bickmore® Bick 4 Leather Conditioner to keep their leather in prime condition, regardless of hide. Keeping leather boots out of water will also extend the life of the boots. Regular cleaning and conditioning is essential to the endurance of every boot. Please be sure to reference our Care Instructions page. What is the warranty on Rod Patrick boots? Rod Patrick Bootmakers® warrants their boots for one year (starting on the purchase date with original proof of receipt) against defective materials and workmanship. This does not extend to problems that arise from normal wear and tear or misuse and abuse. Boots that have been altered by stretching, resoling, re-heeling, cutting, painting, adding zippers or any other alteration, prevent us from determining if the boots are defective in materials or workmanship, and for this reason, cannot be considered for credit, repair or replacement.. Please be sure to reference our Manufacturer's Limited Warranty page. Yes, It is natural for soles to wear-out over time. Rod Patrick Bootmakers offers an excellent resoling service to our customers at a reasonable price. Simply email us at info@rodpatrickboots.com with your contact information and description of service needed and and we will get back with you with shipping instructions. Factory quality workmanship and authentic Rod Patrick materials, plus world class service and convenience. Can I buy Rod Patrick boots from this website? No, we would like you to visit on of our many fine retailers for a custom fitting. Please refer to our Dealer Locator to find your closest Rod Patrick Bootmakers® dealer. What is the main difference between In-Stock and Custom Design boots? 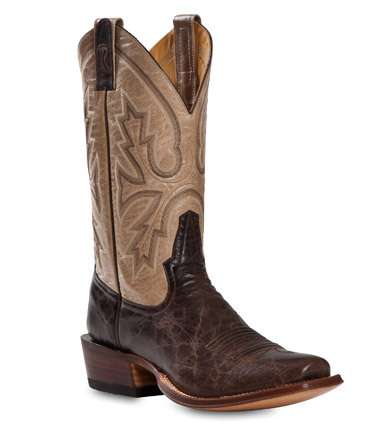 Custom Design boots by Rod Patrick Bootmakers® are exactly that – custom. This boot is crafted upon your request. 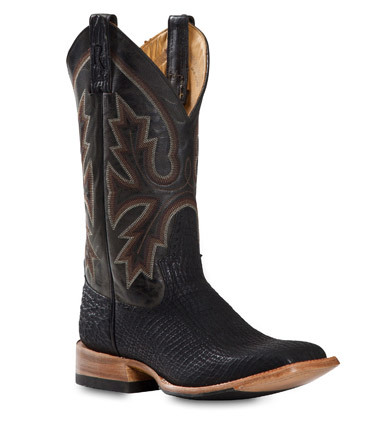 You may design your boots choosing the heel style, toe shape, hide, stitch patterns and from a wide variety of hide finishes and thread colors. In-Stock boots have their features already selected and are ready for purchase. Is there a price difference between In-Stock and Custom Design? There is a design charge for Custom Design boot orders (the charge is waived if four pairs of the exact same design and style is ordered at once). Please consult a dealer for details. What if I like an In-Stock boot, but want to change the sole material, is it still an In-Stock? Any requested change to an In-Stock boot converts it to a Custom Design boot, which incurs the normal Custom Design charge. What if I want an In-Stock boot, but you do not stock my size, is there an additional charge and does it become a Custom Design boot? In this case, Rod Patrick Bootmakers® will gladly craft your boot at no additional charge. However, there may be up to a 120 day wait for production. Can I buy Rod Patrick boots directly from the warehouse location? No, our headquarters and warehouse are not open to the public. Please refer to our Dealer Locator to find your closest Rod Patrick Bootmakers® dealer. 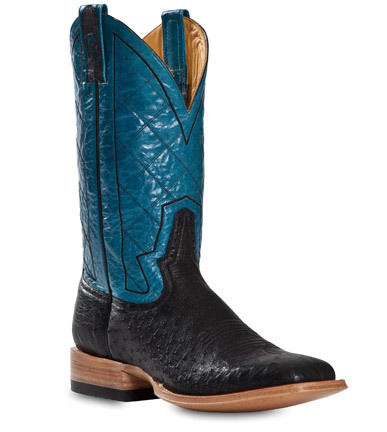 If I see an In-Stock boot or Custom Design online that I like, how do I go about finding it? Please visit our Dealer Locator to find your closest dealer. Call ahead to check their inventory, or ask them if they can order it for you. ©2017 Copyright ROD PATRICK BOOTMAKERS®. All Rights Reserved. Miller International, Inc.